Twitter has over 300 million users who are engaging with brands every single day. This huge adoption of Twitter is a great marketing opportunity since it is now part of your customers’ native behaviour. If you are a small or large business who can tell your story in an engaging way then you need to be using Twitter for business to help generate more foot, web and mobile traffic! 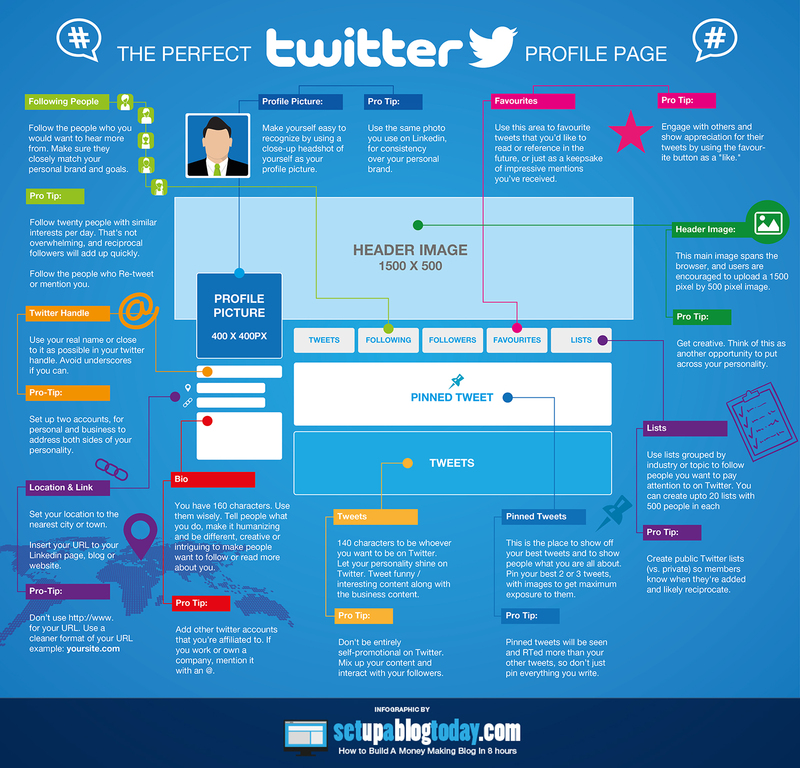 The below infographic gives some practical advice on creating the perfect Twitter profile page. Embed The Pefect Twitter Profile Cheat Sheet on Your Own Site!